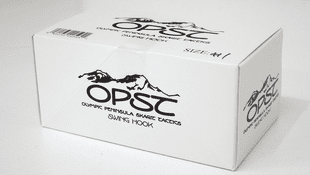 As a company, Olympic Peninsula Skagit Tactics is a product of their environment. The Olympic Peninsula has not only shaped their style and philosophy on skagit-style swing fishing, but also their products. Their products aim to maximize fly fishing enjoyment and opportunities, and their hooks are no exception to that outlook. Swing Hooks: Barbless with a semi up-turned eye. 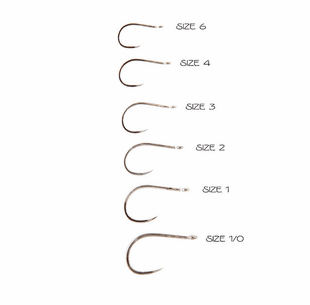 Great trailing hook on tube flies and a great hook for Ed Ward-style intruders. The point is also offset which greatly increases hookups. Intruder Shanks: Ideal for leeches and streamers of all sizes. These shanks fit beads and cones, and come with pre-rounded ends. 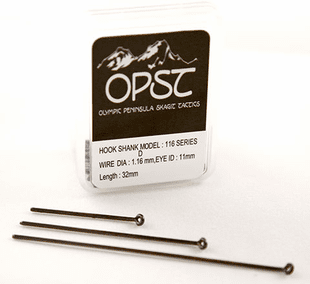 Below you will find all of our OPST Hooks and Shanks.